The cry has gone up among studio finance heads across the land: “IMAX 3D conversion today, IMAX 3D conversion tomorrow, IMAX 3D conversion forever.” And so comes the unsurprising news that The Hunger Games: Mockingjay—Part 2 will be digitally remastered for IMAX 3D, providing yet another way to charge higher prices for a movie that was not shot with either IMAX or 3-D cameras. “Fans will now have the chance to see the film in any format they want, which is exciting,” director Francis Lawrence says, clearly excited himself that his movie will be altered in ways he is not responsible for. And since he was already offering news about screwing around with the films, Lionsgate CEO Jon Feltheimer decided he may as well admit that he’d like to screw around even more with Suzanne Collins’ creation. 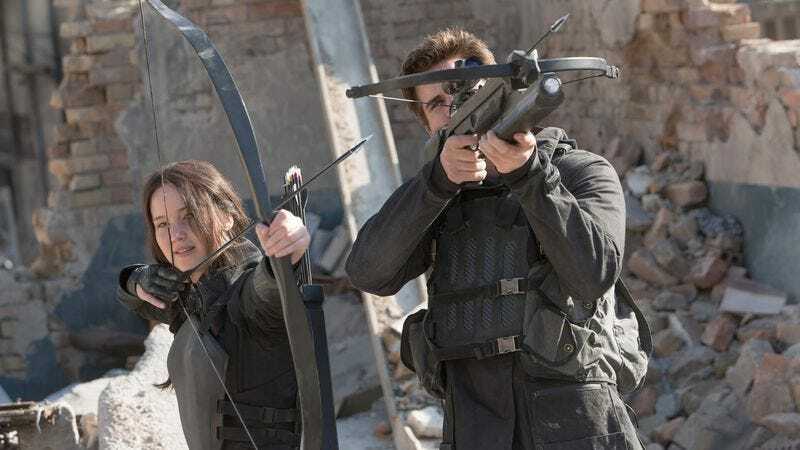 In addition to the missing-the-whole-point Hunger Games theme park they want to develop, Feltheimer admits that he’s “actively looking at some development and thinking about prequel and sequel possibilities” for the franchise. Prequels are probably high on their list, since it would allow them to make a long series of films depicting the Hunger Games from previous years in the dystopian society. And since the irony of exploiting a story about the murder of children being filmed for the entertainment of a painfully unequal society seems lost on Hollywood, it may as well go ahead and rename itself Panem while it’s at it.